Aussie bears, unite! 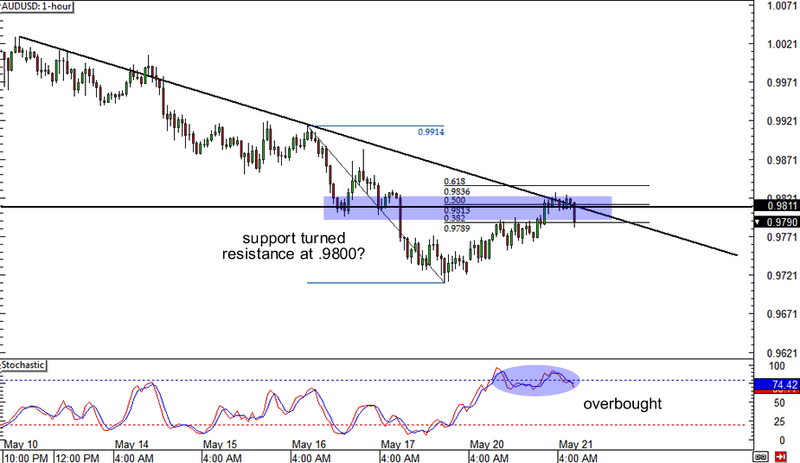 If you’ve been waiting for an opportunity to hop in AUD/USD’s strong downtrend, then this could be your chance. The pair has just pulled up to the 50% Fibonacci retracement level, which is very close to the .9800 major psychological level. This former support area could act as resistance from now on, especially since it’s right in line with the falling trend line on the 1-hour time frame. Stochastic is crawling out of the overbought zone, suggesting that sellers are about to take control. 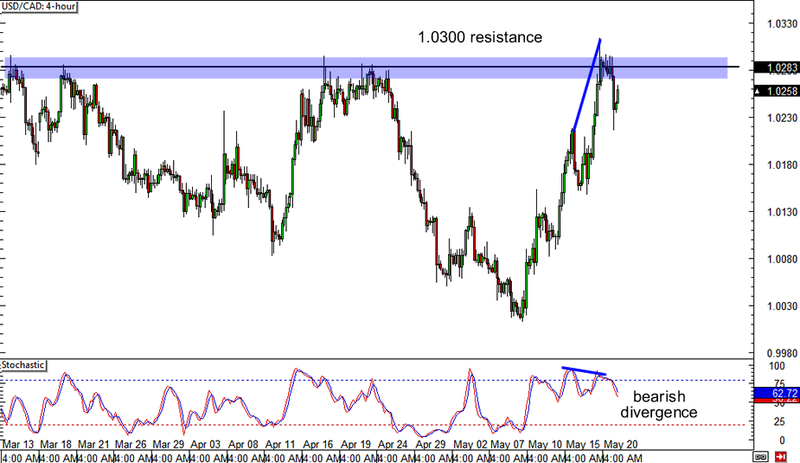 Will the 1.0300 major psychological resistance hold? USD/CAD seems to be having a difficult time climbing above this level as a bearish divergence formed on the 4-hour time frame. If the pair retreats from its recent rallies, it could fall back to the 1.0100 support zone or even test its previous lows just above parity. If you think the dollar’s rallies are overdone and you’re planning on shorting this pair, make sure you set your stop above the 1.0300 resistance level. 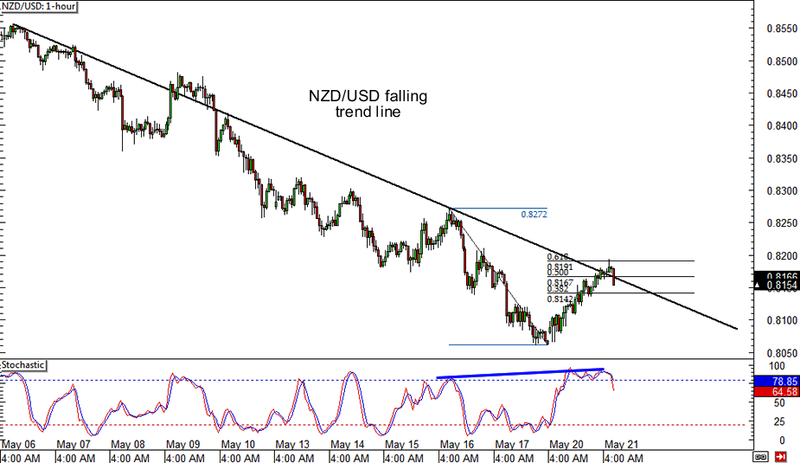 Here’s another retracement setup on NZD/USD! Just like it’s buddy AUD/USD, the pair is also moving under a falling trend line on its 1-hour time frame. The pair has retraced to the .8200 major psychological resistance, which is in line with the 61.8% Fibonacci retracement level and the trend line. On top of that, a bearish divergence has formed, suggesting that Kiwi bears could take this pair further south.